For most Mancunians ‘Blue Monday’ is the name of the seminal dance track by local legends New Order. For sushi loving folk it’s also the name of the special offer that Yo! Sushi have been running intermittently for the past few years. 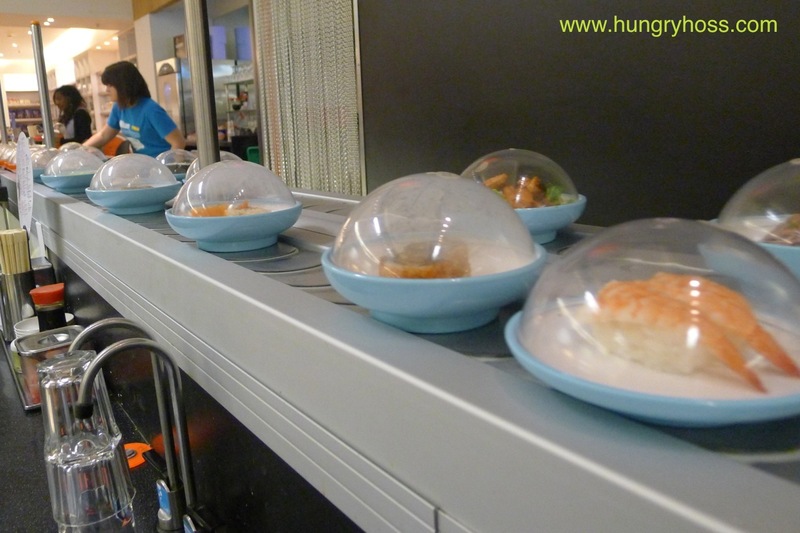 For those unfamiliar with ‘YO!, customers sit alongside a conveyor belt (kaiten) where plates of sushi and other Japanese inspired delectables pass by (at a speed of 8cm per second). Special orders can be placed but selecting from the looping ‘sushi-go-round’ is the norm. The dishes are usually priced according to plate colour. At YO! 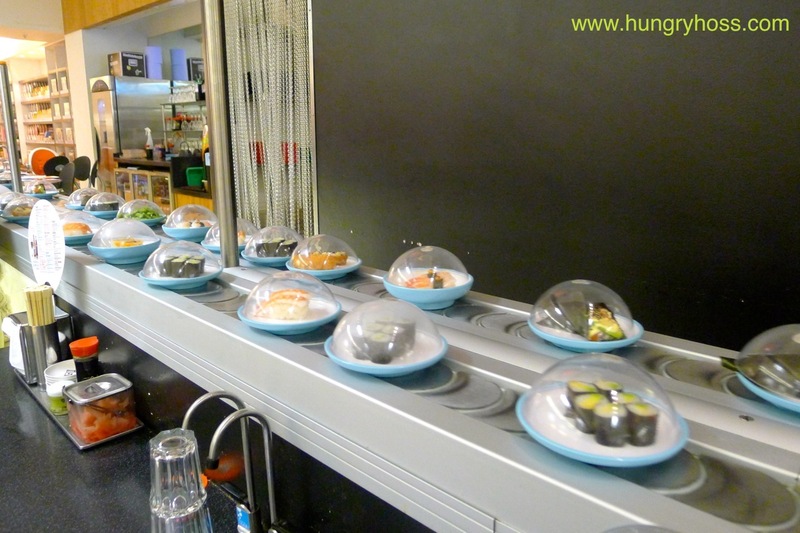 Sushi, the green (£1.70) plates are the cheapest; then blue at £2.30 - progressing through, purple, orange, pink and red plates at various price increments; ending with the most expensively priced grey plates at £5.00 (Selected branches also offer ‘Specials’ on £6.00 yellow plates). At the end of the meal the total is totted up according to how many plates of each colour are in your stack. 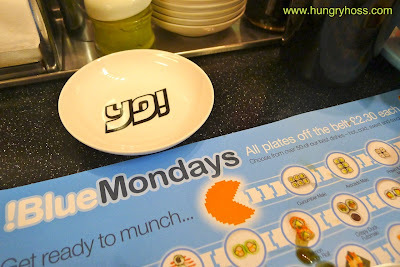 On a ‘Blue Monday’ all dishes are priced £2.30. 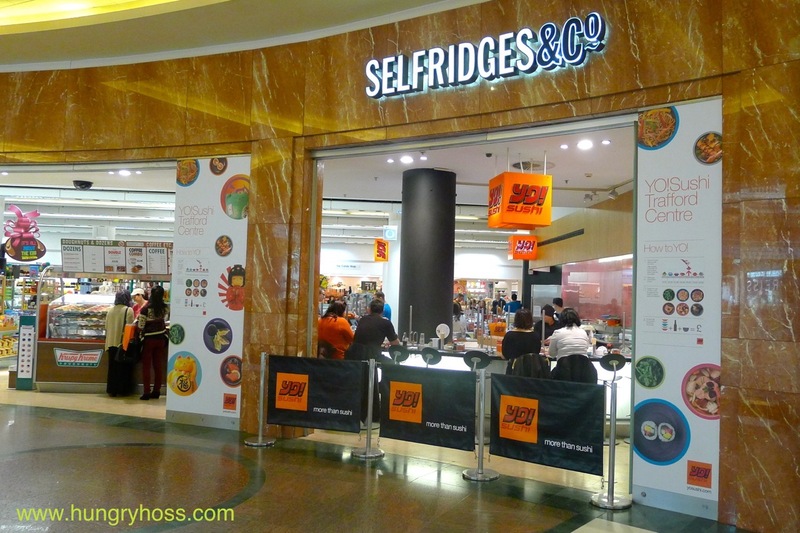 Former Dragon Simon Woodroffe may have popularised the idea in the UK but we have Yoshiaki Shiraishi to thank for the original concept. He apparently had the Eureka moment whilst observing bottles of beer in an Asahi Brewery. 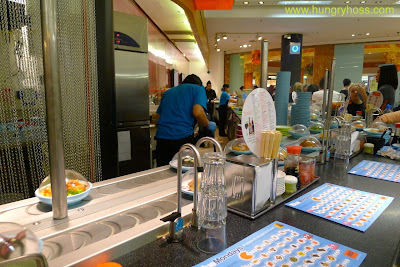 Shiraishi opened his first conveyor belt restaurant ‘Mawaru Genroku Sushi’ in Osaka, 1958. The chain went onto have close to 250 outlets all over Japan. Now in its fifteenth anniversary year, YO! Sushi will be open their sixtieth and sixty-first branches in Camden and Plymouth respectively. Also, it’s worth considering that for many, the sushi trains of the large chain provide a wider audience with their first taste of Japanese cuisine. 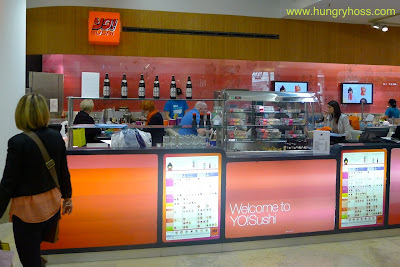 After being introduced to the food, some will go on to eat at, and support the smaller ‘authentic’ places. It was many years ago, at the Poland Street branch of YO! 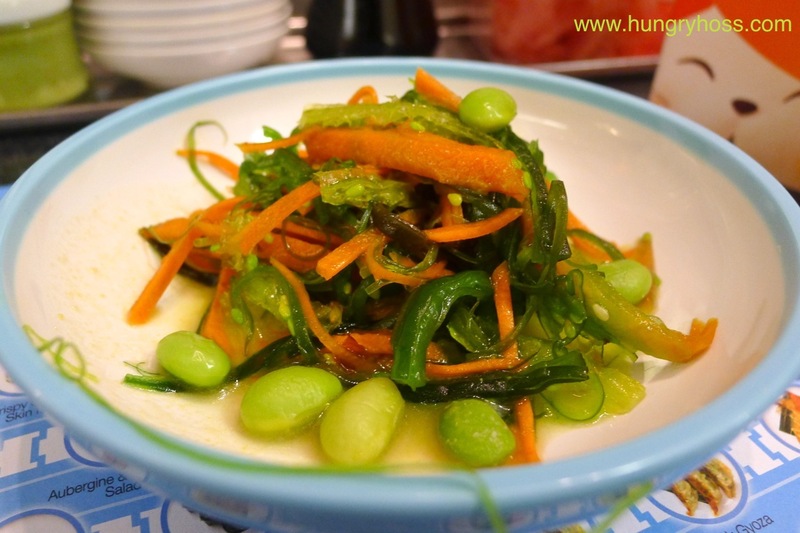 I first encountered sushi and I have since developed a love of Japanese cuisine which has led me to eat at Michelin starred kaiseki restaurants (see here) and even have a go at making make my own using an old-school cypress wood ‘hangiri’. 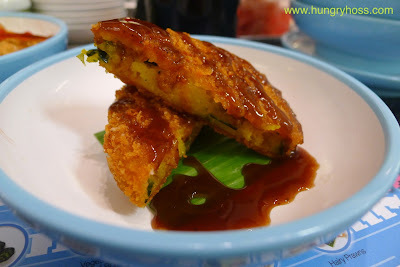 It goes without saying that the busier restaurants usually serve the best quality dishes as the sushi gets eaten and replaced more frequently and has less chance of drying out. One such restaurant is the Trafford Centre branch, which invariably has a queue of people waiting to take their seats at the belt. 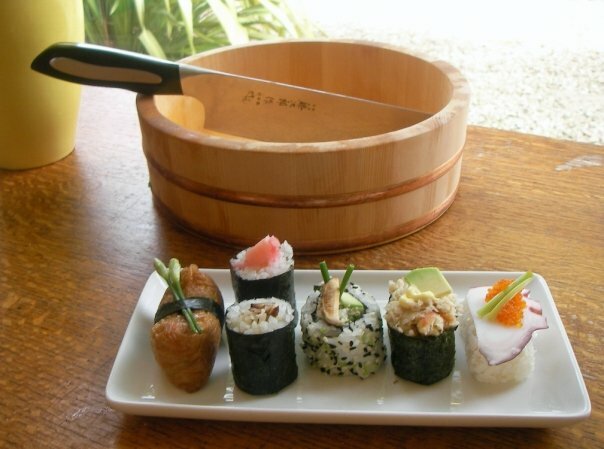 Many people are put off Japanese cuisine by the thought of eating ‘raw fish’ but ‘sushi’ actually refers to anything served ‘with rice’ (seasoned vinegared rice). 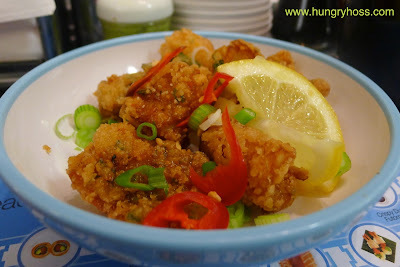 You could quite easily have an enjoyable meal without going anywhere near anything raw or fishy. 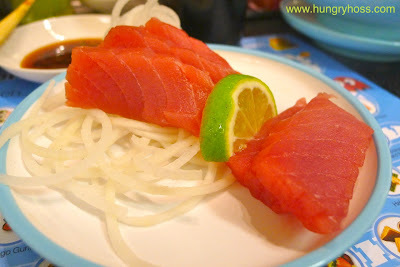 Saying that, the first dish I selected off of the belt featured five slices of Tuna Sashimi. 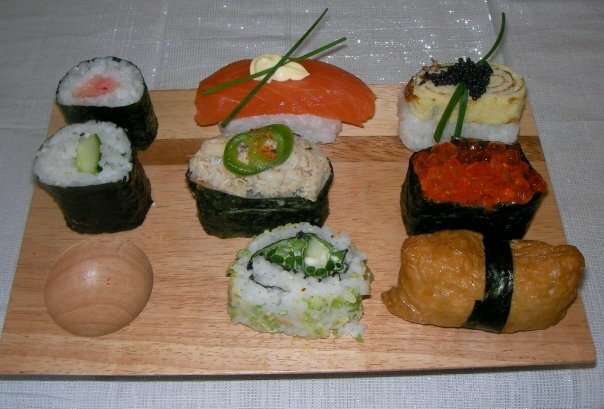 Not to be confused with sushi, the term ‘sashimi’ translates as ‘pierced body’. 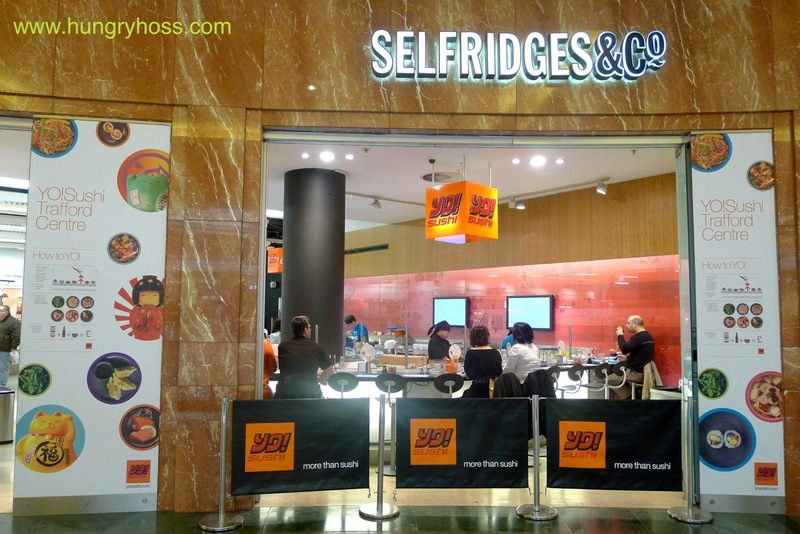 In Japan it is used to describe any raw ‘meat’; in the UK, it is primarily used in relation to uncooked fish - dipped in soy, to my mind, there is little better. 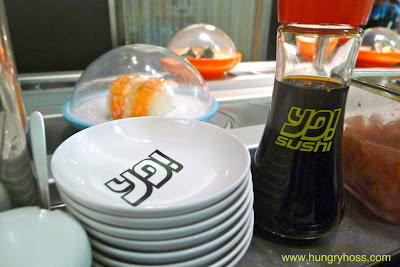 At most belted sushi places, diners will find chopsticks and condiments near their seat: soy sauce and wasabi to season the food and pickled ginger (called gari) to cleanse the palate between the contrasting flavours. Aubergine Salad – I am a huge fan of aubergine and this is consistently one of my favourite dishes; the sweet sticky sesame, garlic and ginger dressing is fab. 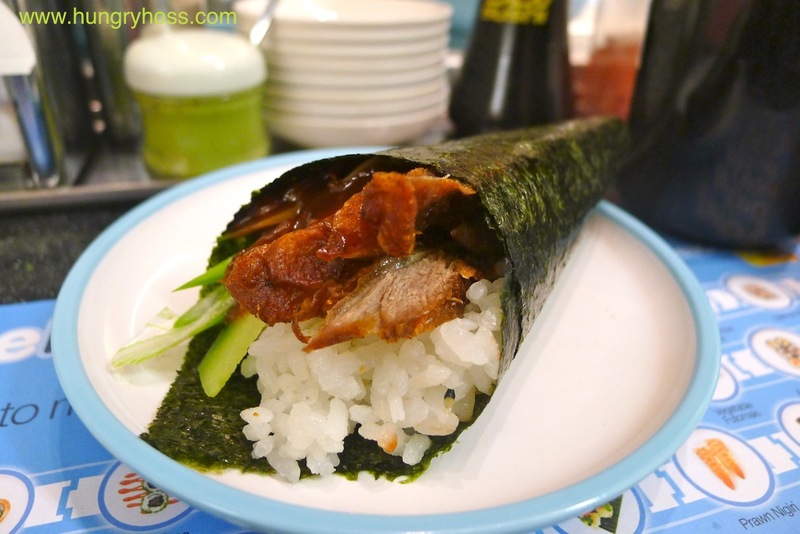 Crispy Duck & Moromi Miso Hand Roll – this is one of my wife’s favourite dishes, although the duck is often a little overdone and dry for my taste (I suppose this is one drawback of catering to the majority). 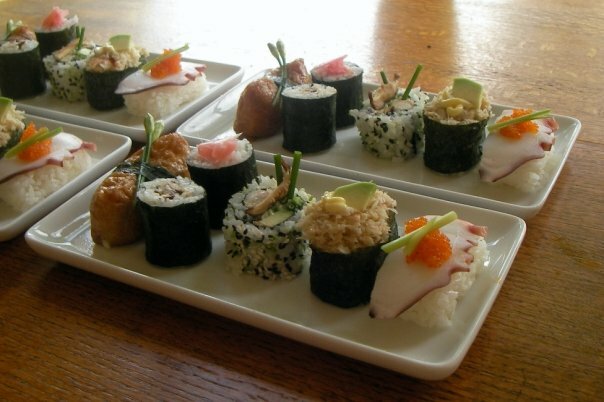 A great dinner party tip is to make up a batch of sushi rice, prepare some fillings, buy a packet of nori (seaweed) sheets and invite your guests to roll their own ‘temaki’. 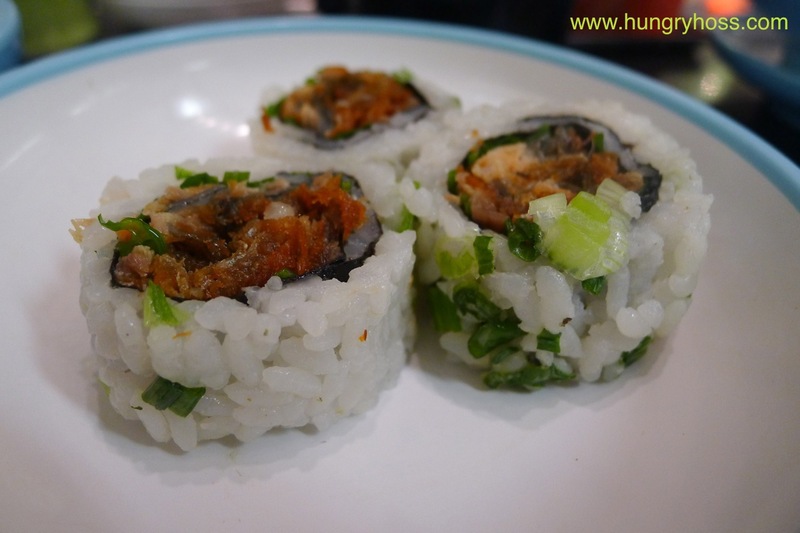 Crispy Salmon Skin ISO – ISO refers to ‘Inside Out Roll’. 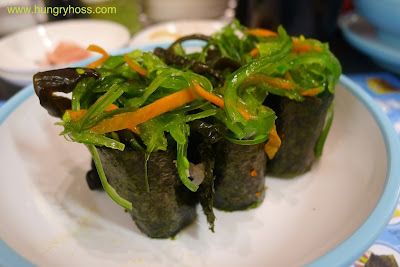 When making, the rice is placed on up of the nori, before being flipped over so that the filling goes on the inside with the rice on the outside. The salmon skin version is usually one of the cheapest dishes (£1.70 for two pieces) but is also a favourite of mine. On a Blue Monday you get a third piece to justify the £2.30 price tag. Kaiso Salad - kaiso is the Japanese name for all varieties of seaweed; marinated in a miso dressing and served with edamame (soya) beans and crunchy carrots, this makes for a refreshing, tasty and texturally pleasing salad. Pumpkin Korroke – despite having visited YO! Sushi on a number of occasions I have not had this before and will probably not have it again; I found the sauce far too sweet and fruity. Spicy Pepper Squid – I usually try to avoid the deep fried dishes but do enjoy the spicy fresh chillies. 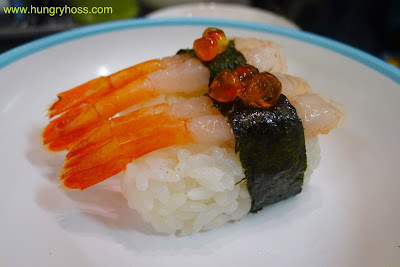 Ama Ebi Nigiri – simple and delicious with sweet delicate prawns and keta caviar (salmon roe). Nigiri means hand formed - legend states that true sushi masters (itamae-san) can form ‘nigirizushi’ so that all the rice grains face the same direction. (At YO! Sushi, they face different directions). 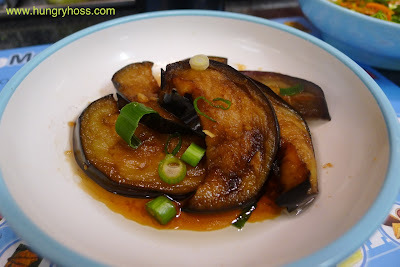 Kaiso Gunkan – I really had eaten enough, when another favourite dish of mine tantalisingly made its way around the conveyer – I couldn’t say no. A boat shape (gunkan means battleship in Japanese) is made by wrapping a strip of nori around a block of sushi rice, that can be filled with such toppings as salmon roe or in this case, more tasty kaiso. YO! Sushi remains on of the few chain restaurants that I am happy to visit regularly – the Blue Monday offer making it all the more appetising.